Security Clearance Attorney - Korody Law, P.A. A security clearance is an official determination that an individual may access information classified by the United States Government. Security clearances are hierarchical; each level grants the holder access to information in that level and the levels below it. The clearance process requires a background investigation and the signing of a nondisclosure agreement. Access to any particular piece of information requires "need-to-know." In some cases, this requirement is only nominal, as some classified information is widely published on secure networks. In other cases, there is a formal need-to-know determination. Since 9/11, most military members, government employees, and government contractors have been required to obtain and maintain a security clearance as a condition of their service or employment. Loss of a security clearance commonly results in separation from the military or termination of employment. The process to obtain a security clearance includes the application, investigation, and adjudication, or determination, of whether to grant or deny the security clearance. The application normally starts with completion of the SF-86, Questionnaire For National Security Positions. 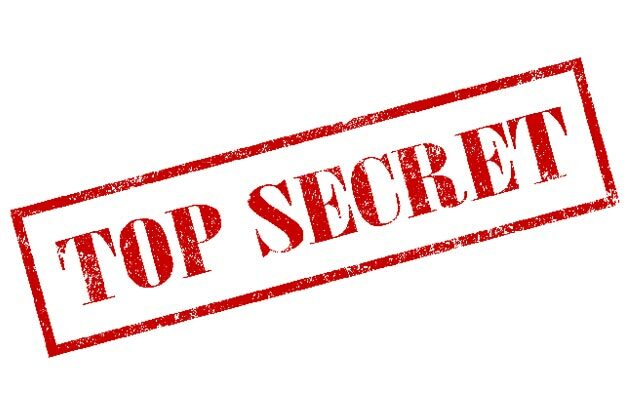 An investigation is then conducted by the government, the scope of which depends on the type of clearance sought: Confidential, Secret, Top Secret, or Top Secret - Secured Compartmental Information (SCI). The investigation may consist of a credit and criminal records check or it may involve a full background investigation that includes interviews of the applicant, friends, and neighbors and a polygraph of the applicant. After the investigation is complete, the information is forwarded back the agency for adjudication. Most government agencies have established "guidelines" that relate to disqualifying conduct or information and provide for evidence of "mitigation," meaning evidence that tends to alleviate the identified concern. For example, if an investigation reveals a past drug addiction, evidence of treatment and sobriety may alleviate the concern. Other disqualifying conduct and information includes: financial debt, affluence, gambling, criminal conduct, foreign contacts or influence, technology misuse, psychiatric disorders, and technology misuse. If an agency suspends, denies, or revokes a security clearance, it will normally send a Letter of Intent (LOI) to deny or Letter of Intent to revoke with a Statement of Reasons (SOR). A temporary, or emergency, suspension may be issued by a local security manager to temporarily restrict access pending final adjudication. Common reasons that a LOI is issued include allegations of foreign influence, criminal conduct, unexplained affluence or excessive debt, gambling, alcohol or drug abuse, noncompliance with security requirements, mental health concerns, and misuse of government technology resources. Importantly, a LOI and Statement of Reasons is only the initial determination, and an applicant normally has the right to submit written matters and later request a hearing before an administrative judge. However, once a final decision is issued denying a clearance, an applicant generally has to wait a specified period of time, normally years, before he or she can reapply for a clearance. Review of SF-86 or other application for security clearance to determine any potential issues that may arise during the investigation and adjudication processes. Korody Law has successfully represented clients at all phases of the security clearance process. Contact us now for a consultation! You only get ONE opportunity to save your career! When the stakes are high, you need high stakes representation.